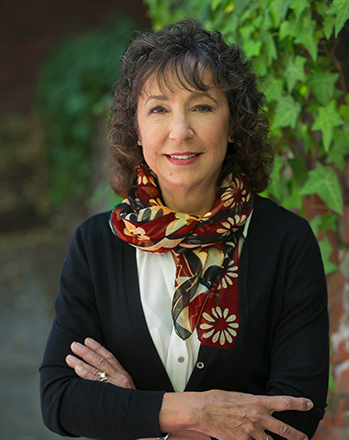 Elizabeth LaScala has worked as a researcher and trusted advisor in higher education for over 25 years. She lives in Lafayette, California and works successfully with clients from both the local California area as well as nationally and internationally. Elizabeth completed her BS from Hunter College, City University of New York. She earned her Master’s Degree in Public Health at the University of Michigan and a PhD in Behavioral Sciences and Education from the University of California, Los Angeles (UCLA). In addition, in 2008 Elizabeth earned a Certificate in College Admissions and Career Planning from UC Berkeley. Elizabeth is an education columnist, featured regularly in print and electronic publications that reach readers locally and nationally. She is a sought after presenter at parent-student events, learning centers, schools, civic and community clubs and organizations. She is also a team partner of Orinda Aquatics Club where her expertise in recruitment for the college-bound athlete is highly valued. In addition to her own capability, Elizabeth offers clients a monthly newsletter and the benefits of an expansive network of admissions, academic, test preparation and financial planning professionals. Elizabeth has researched and developed structured programs to help middle school, high school, college and graduate students maximize their educational success. Elizabeth is an active and long standing member of each of the leading organizations for Independent College Advisors, including Higher Education Consultant Association (HECA) Western Association for College Admissions Counseling (WACAC), and National Association for College Admission Counseling (NACAC). She is a California Community Representative for HECA and in that role organizes informative seminars on timely topics for independent educational counselors (IECs), and professional education gatherings between college admissions representatives IECs and public school counselors. Elizabeth and her husband Paul have raised three daughters, each of whom has followed a different educational path to success, earning degrees at Cal Poly San Luis Obispo, MIT, University of Chicago and Stanford University. Elizabeth founded Doing College and Beyond to help students and their families understand the increasingly complex admissions process, research educational options within public and private systems and prepare strong, cohesive applications. Elizabeth is totally devoted to serving clients best interests by staying current and informed about the best academic opportunities as well as college affordability and how to secure the most generous financial aid awards.